It is not sufficient to have a promising business idea. There are many hurdles to overcome before the actual work begins. In the days of Henry Ford it worked out well, as soon as you mastered the entire value chain. Meanwhile, the pendulum is swinging in the opposite direction. Today, the one-hundred percent vertical integration is being replaced by a very low percentage – at the SMART plant in Hambach, France, it amounts to ten percent. Digitization will lead to even flatter vertical integration. These become possible, when the many tasks are spread across many shoulders. Platforms provide such shoulders. It does not matter, whether we are talking about different platforms or one that contains all the necessary functions. With the following offers tomorrow’s entrepreneurs can focus on their actual business model. The fourth industrial revolution, Industry 4.0, is driven by the opportunities of network-based ICT – cyber-physical systems, big data, cloud services, 3D manufacturing, embedded technologies, etc. The use of these offerings cannot be avoided. However, you do not have to take care of all aspects anymore. These tasks have been taken over by platforms that provide these services in a user-friendly way. The term was created in the field of IT. The operating system combines different components into a functioning whole. Under the slogan XaaS (Everything as a Service), today platforms are being provided in an application-oriented way – from infrastructure, to production facilities, to special applications that are used when required and paid only then. In 10 main occupational groups you will find the different professions, each responsible for specific areas. The specialization of the individual areas provides today a vast amount of practical experiences that can be used without the need that one has to familiarize oneself with the respective area. The fourth revolution will lead to more and more platforms, where experts offer their deliverables as a service. The current networks are websites where producers and consumers meet on a platform provided by a broker in order to offer a certain service – UBER, AIRBnB, Paypal, Ebay etc. In the future, exclusive biztopes will emerge, where selected participants support each other in their business. The Henry Ford of today shares his means of production on a platform with his competitors and stands out in speed, good ideas and versatility. The place to trade has always been determined by the goods and services that have been exchanged, as well as by geographical features. An overlap of markets rarely took place. Today’s markets are just a click away from every user. Therefore on the one hand one is quickly at the point of action, but on the other hand one is also exposed to all offers. The benefits of the classic marketplace, with its reference points and regulations, are already being exploited by platforms where sellers and buyers meet at auctions – eg. Covisint, SupplyOn. The little sister of a market is the niche that forms in the corners, where big markets do not expect much revenue. Through the Internet, this niche is as reachable as the big market. Depending on the success of the niche, it can quickly develop into a market and cover with its platform more and more areas. In a modular world, the actual business models use pods (i.e. small, autonomous units that develop value-add) that are needs-oriented created and eventually resolved when they fulfilled their purpose. The required resources are drawn from the various platforms (see above) on an expenditures basis (pay-per-use). The costs are created by integrating the technology, the operating system, the area of expertise, the network, the market and one’s own niche. If the results are correct, then over time the users will optimize the interaction with the platforms. Bottom line: The start of a new business model no longer requires the immense preparation by building the necessary technology, a coherent operating system, the experience of a specialist area, the lengthy development of a network, the development of a market or its own niche. Platforms allow start-ups or new businesses to focus on designing their core competencies. Platforms make businesses more agile. Dieser Beitrag wurde am Juli 7, 2018 von memecon in English, Management veröffentlicht. 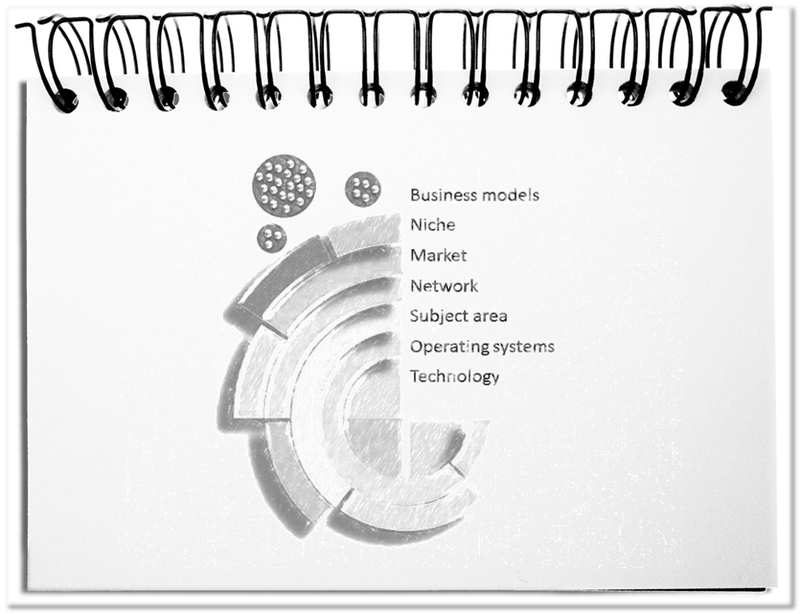 Schlagworte: Agile, Area of Expertise, Business model, Market, Network, Niche, Operating system, Platform, Technology.